Kalumpit is a fruit from tropical regions of Asia and Australia. It is found growing in Malaysia, Indonesia, Philippines, New Guinea and northern Australia. Some botanists hold a view that this plant originated in Australia and then spread to other areas. 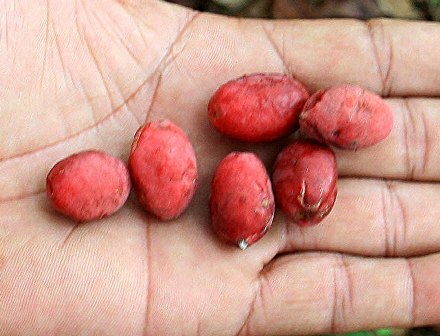 It is cultivated on home garden scale for its fruits in the Philippines. The fruits are offered for sale at some places. 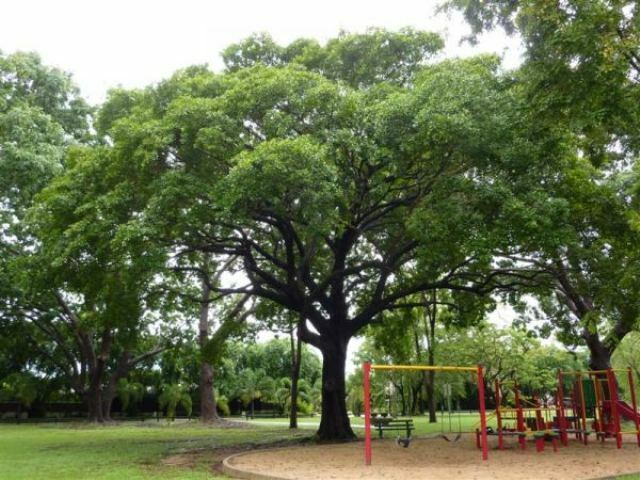 A semi deciduous or deciduous tree upto to 30 m tall; bark black, fissured and hard. Young shoots brown sericeous to tomentose, becoming glabrous with age; petioles 2-10 mm long, glands absent; leaf blades discolorous, obovate to spathulate, occasionally elliptic, 40-160 mm long, 15-70 mm wide, L/W 1.5-3.1, sericeous to glabrous, domatia present, base cuneate to attenuate, apex obtuse to emarginate, often shortly acuminate. Inflorescence longer or shorter than the leaves, bracts narrowly triangular, about 1-2 mm long, caducous. Perianth tube sericeous outside, lobes triangular, about 1.5 x 2 mm, apex narrowly acute or acuminate, glabrous or with scattered silky hairs insid; staminal filaments glabrous, about 2-3 mm long. Disk villous. Style villous. Fruit a drupe, purple, thinly fleshy, flattened-ellipsoid, 11-14 mm long, 7-8 mm wide, sericeous. Seed about 7-8 x 2 mm, cotyledons convolute. Kalumpit fruits taste somewhat like plum. These are gathered from the wild. These are mostly eaten fresh but are also sometimes processed to make a jam. 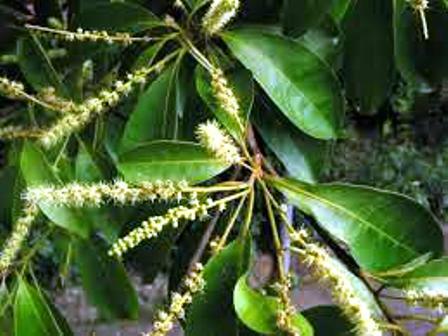 Parts of kalumpit tree are also used for medicine in some countries. As already stated earlier, kalumpit trees are grown in home gardens at some places for their fruits. It grows best in areas where the mean maximum and minimum annual temperatures are within the range 22 – 38°c, though it can tolerate 12 – 45°c It prefers a mean annual rainfall in the range 850 – 1,900mm, though can tolerate from 600 – 2,100mm. 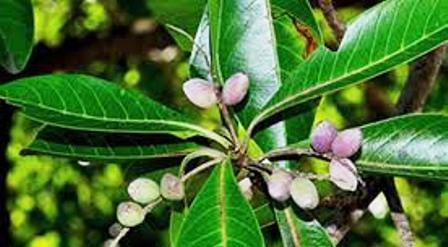 It is found in monsoon forests, where there is a distinct dry season. Trees prefer a sunny locations. New trees can be raised from seed. These seem to prefer a well-drained, medium to light soil with pH in the range 5.5 – 6.5. The fruit is usually harvested when it falls to the ground.